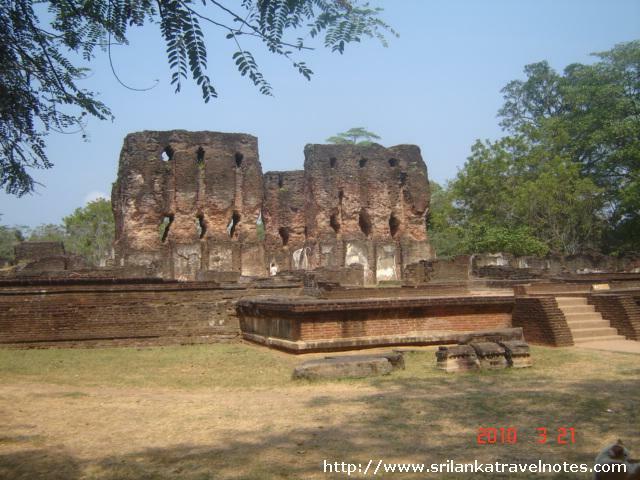 If you visit the Polonnaruwa Heritage City, this is a never missed attraction on your trip. 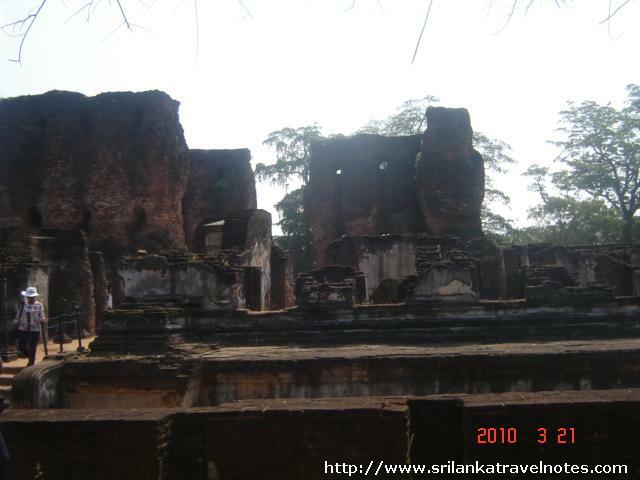 The Royal Palace of King Parakumba (1153-1186 ) was constructed as seven story building, but now remains only parts of 3 floors. 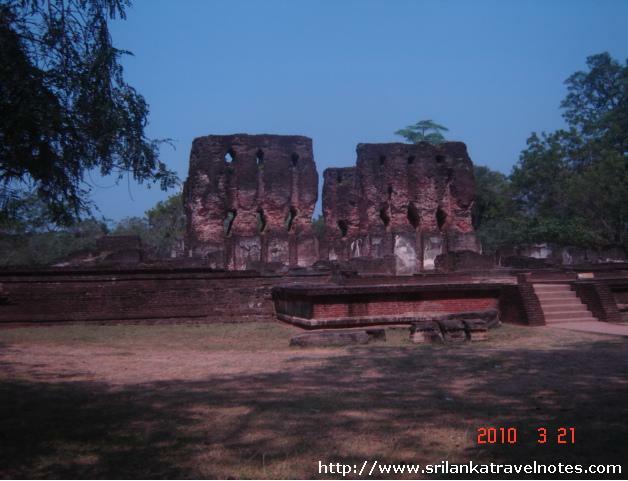 This also known as Veijeyanthi Prasada (or Vijayoth Paya- name refer for Palace of god Sakra). According to the Mahawansa, the construction of this place took around seven years and seven months. 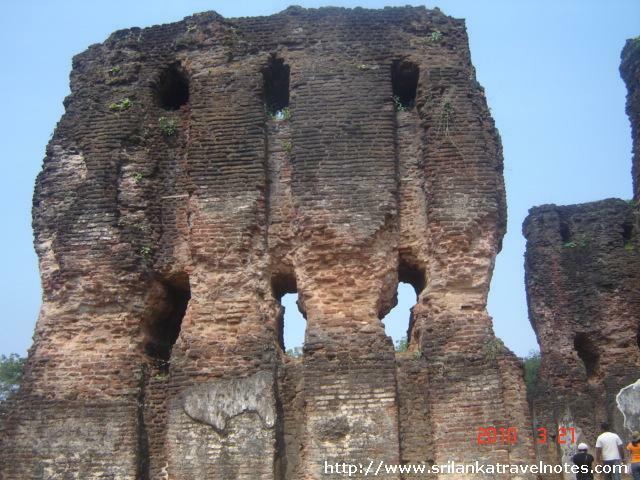 Historical records says that this has 1000 rooms, but today you can see only ruins of 55. The building is made up with thick brick walls. Still you can see the remaining two arrays of holes, done on the wall to hold the structure of the wooden floor. 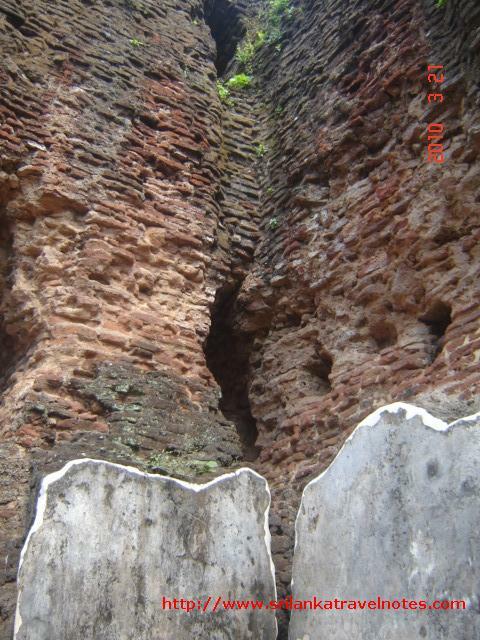 You have to climb few steps and reach the palace premises. Tthe middle area dedicated for king and its 100 feet in width and length. 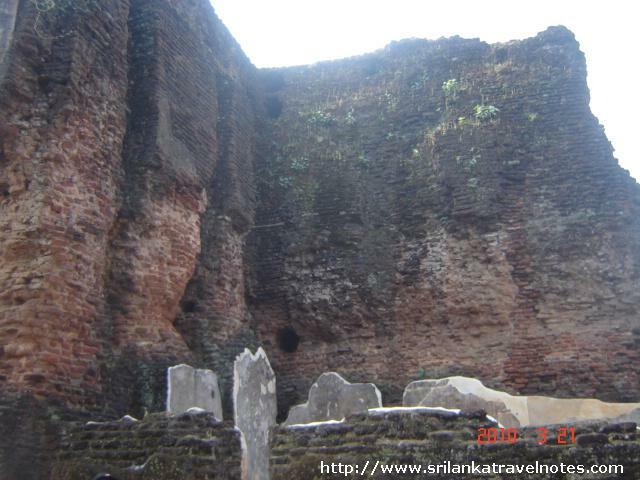 The Parakamabahu Palace was destroyed by south Indianan invader call "Maga"(1215 -1236), and burned.Still you can see some parts of burned bricks and walls inside.